Fireside Lodge Furniture bars are on sale at Family Leisure. 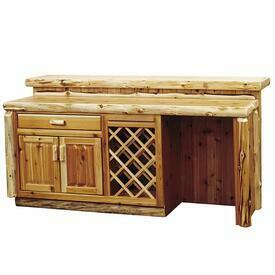 Change the scheme of your home with a real wood, rustic bar with every capability you need. Fireside Lodge products feature ample storage space with cabinets and drawers, wine racks, cutting boards, space for a refrigerator, and more. They are lodge style and let the nature of the wood shine. Find barnwood designs, cedar options and more at Family Leisure. If you find one you like, enjoy the free shipping to anywhere in the continental United States when you shop online. 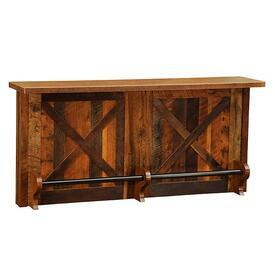 Or, stop into one of our 9 Nationwide store locations to compare and contrast home bars in person. One of our experts is ready to assist you!